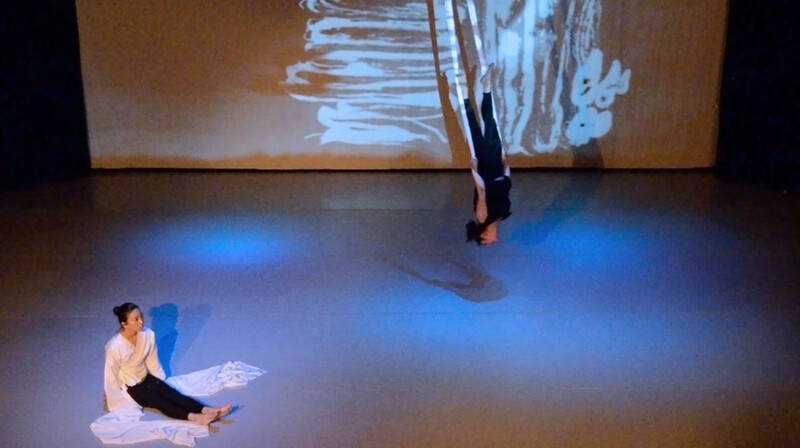 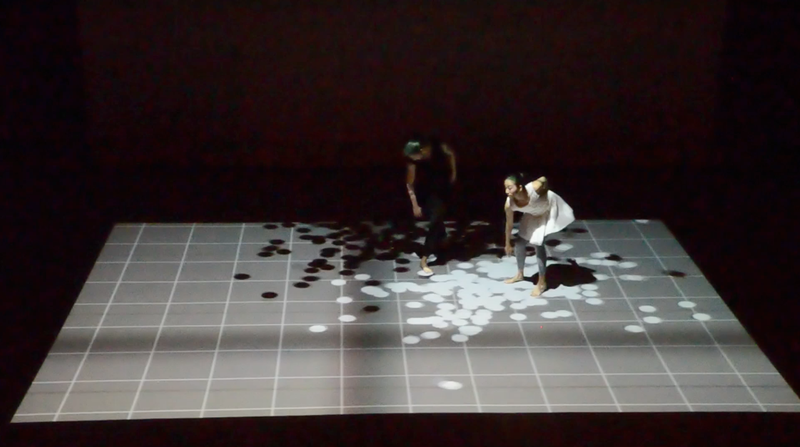 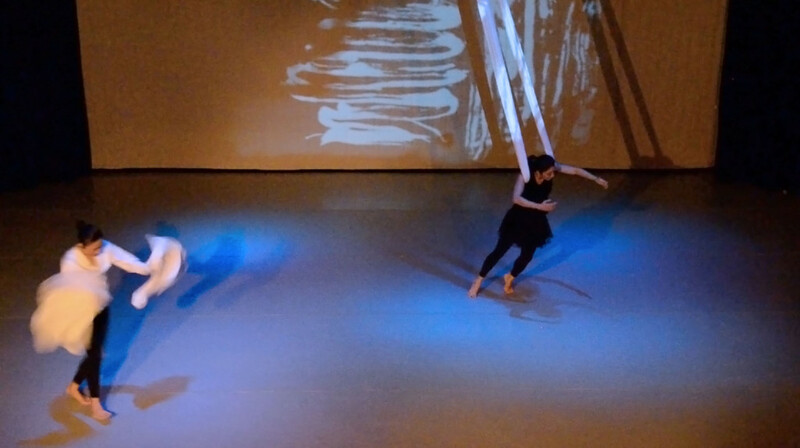 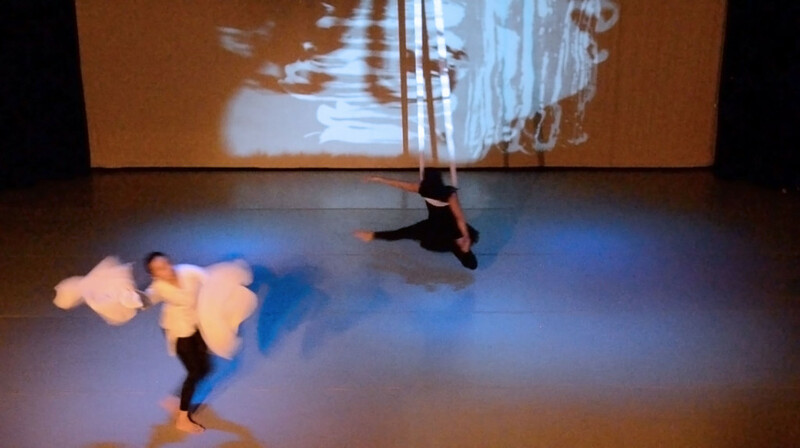 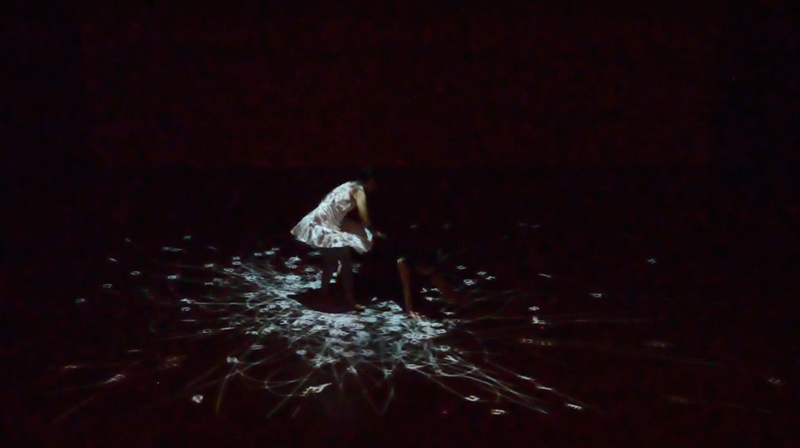 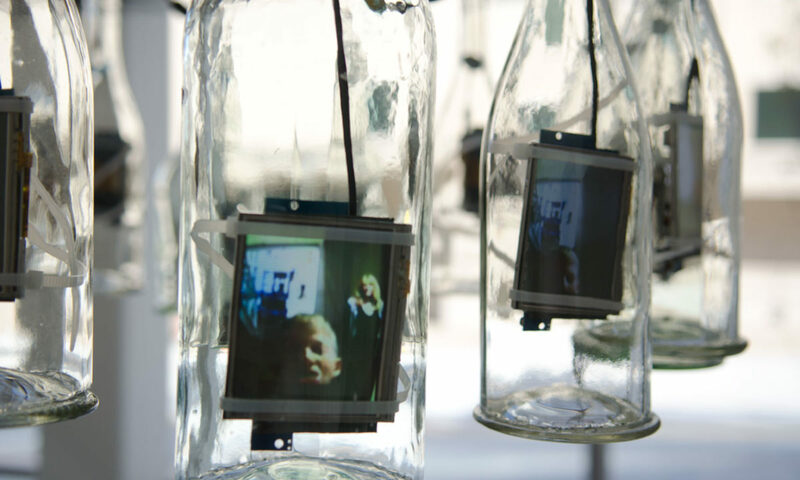 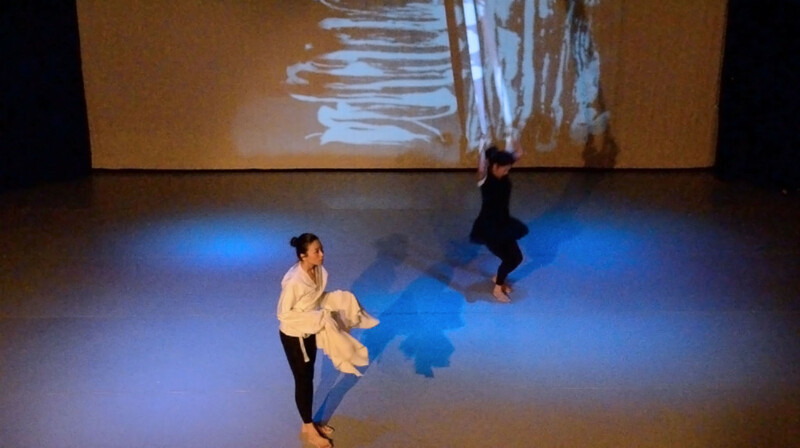 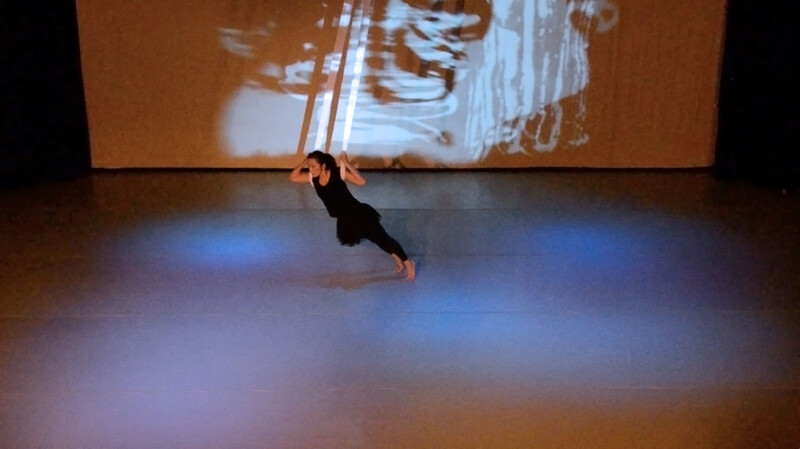 In 2010 Abby Man-Yee Chan and I began to develop a new dance piece for a performance in Boulder, CO. With Pixels in the Closet, Abby wanted to push the boundaries of technology and choreograph a new work around what I could create. 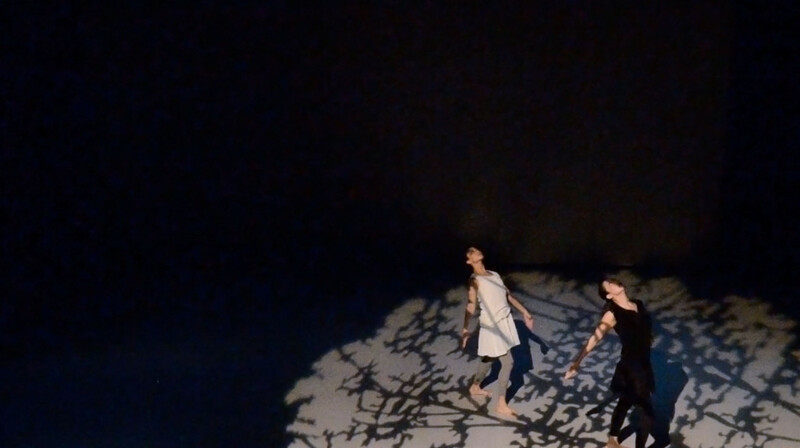 The narrative of the dance forms a dark tale from childhood. 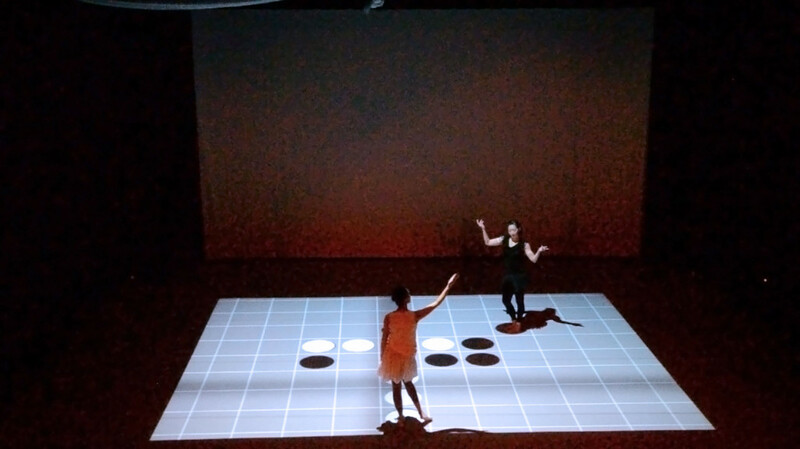 Playing games and trying to remain a child in an increasingly complex technical saturated world. 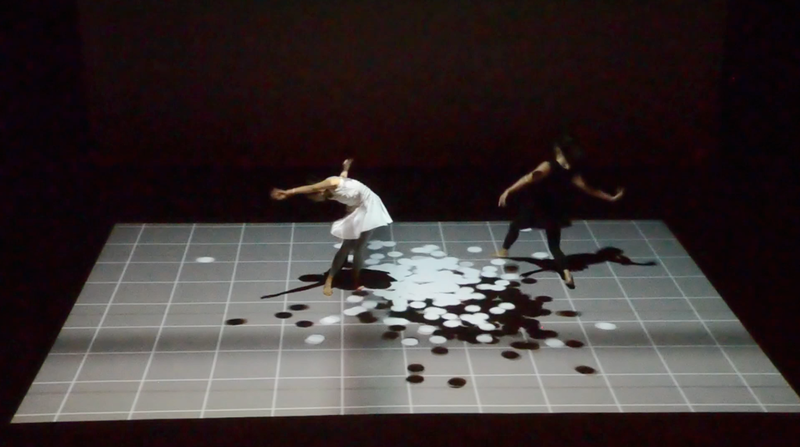 For this project I developed new methods for tracking dancers using the Kinect and infrared cameras which could generate real time sound and audio. 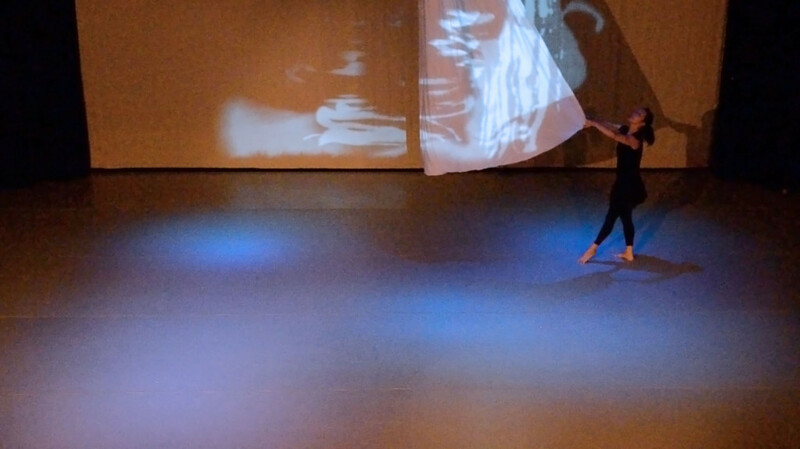 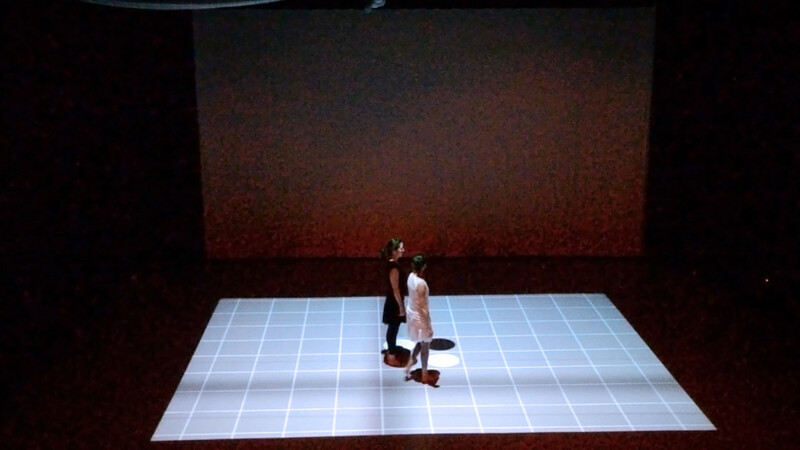 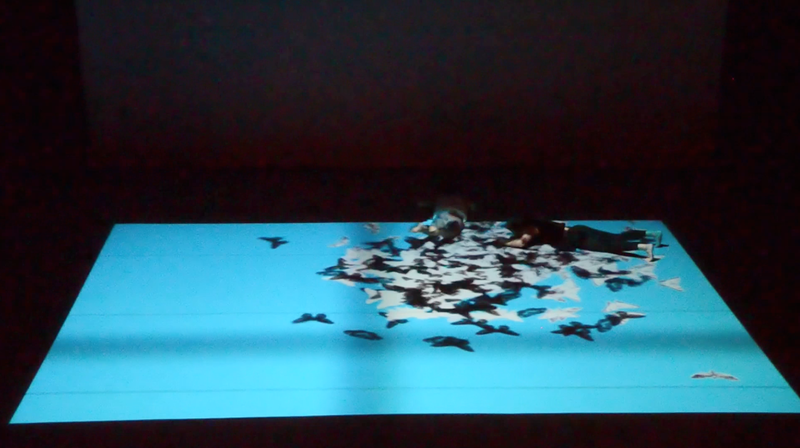 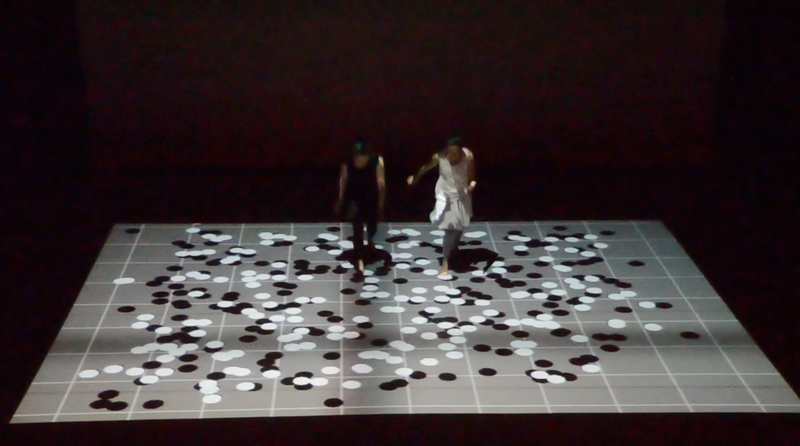 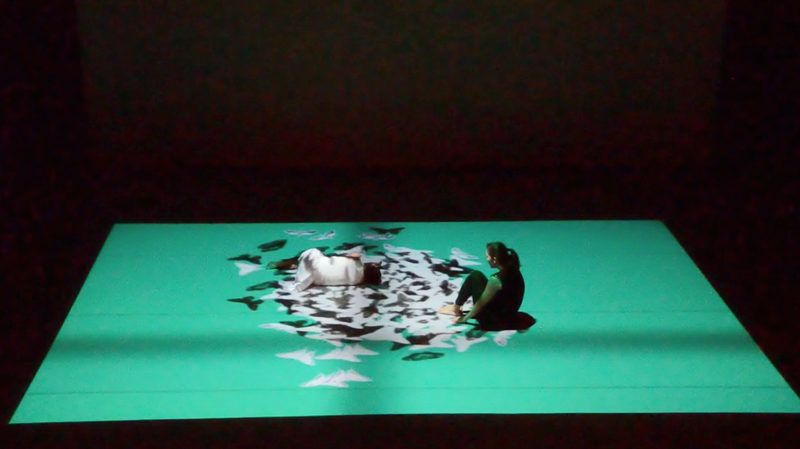 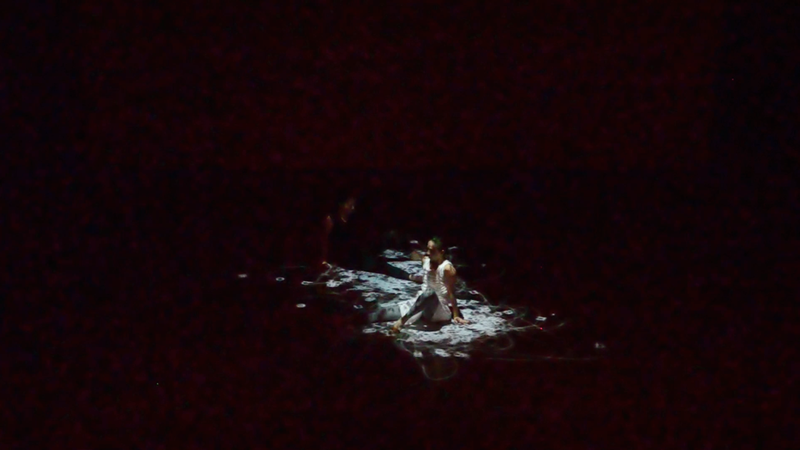 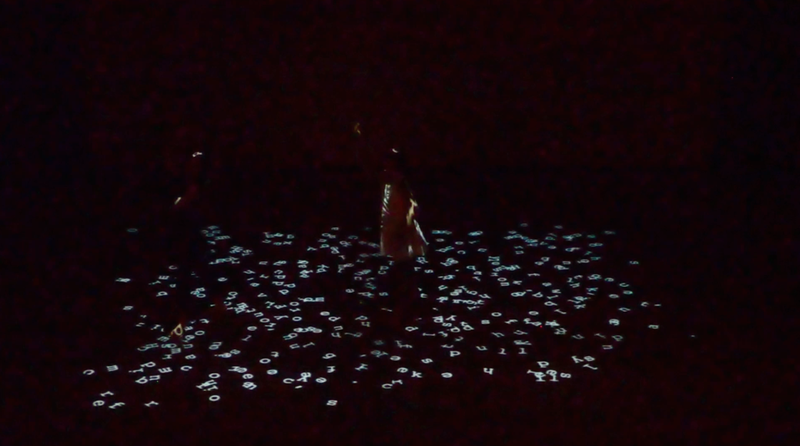 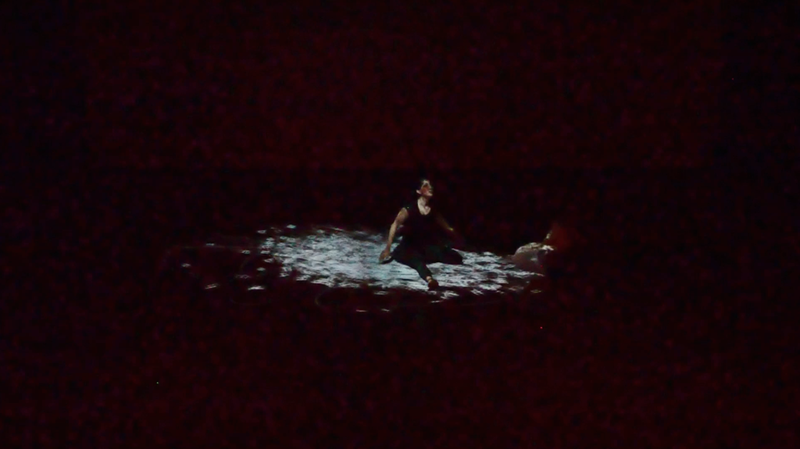 Sections of the 40 minute piece included floor projected forms that would follow the dancers using flocking behaviors and a working Othello game that would play by the rules of the game based on the dancers positions. 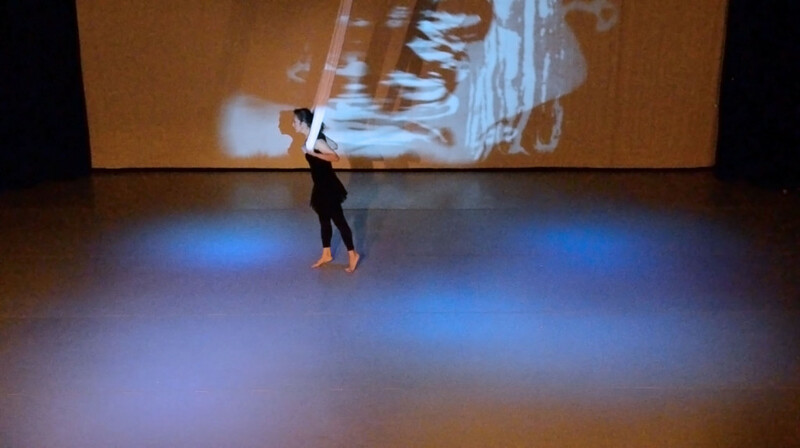 It was performed in Oct. 2012 at the Atlas Center in Boulder, CO. 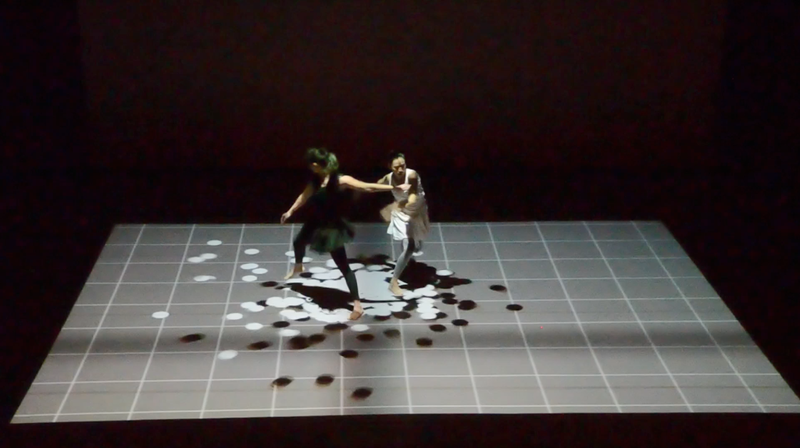 The dancers are Abby Man-Yee Chan, Chai Ying. 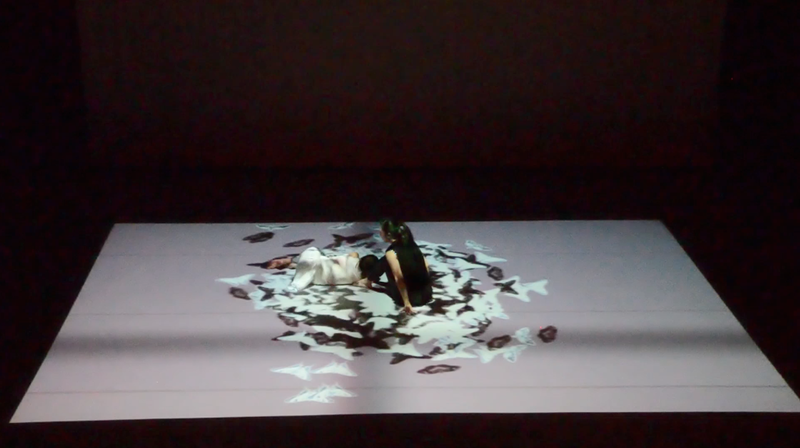 Music by Chor Guan Ng with programming and visuals by Bryan Leister. 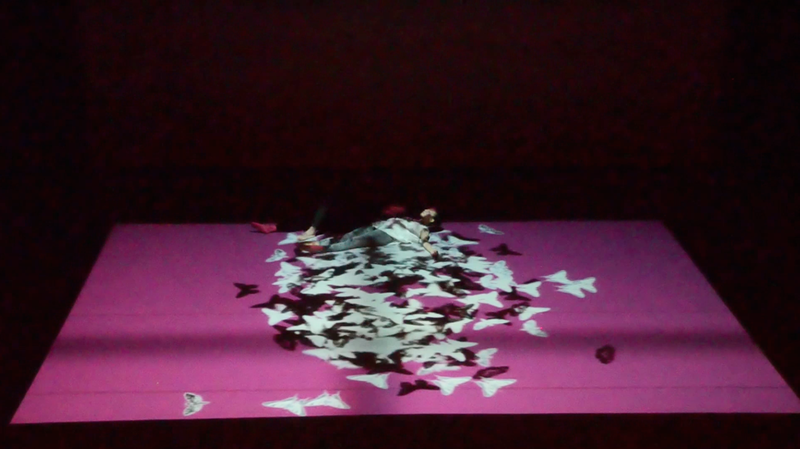 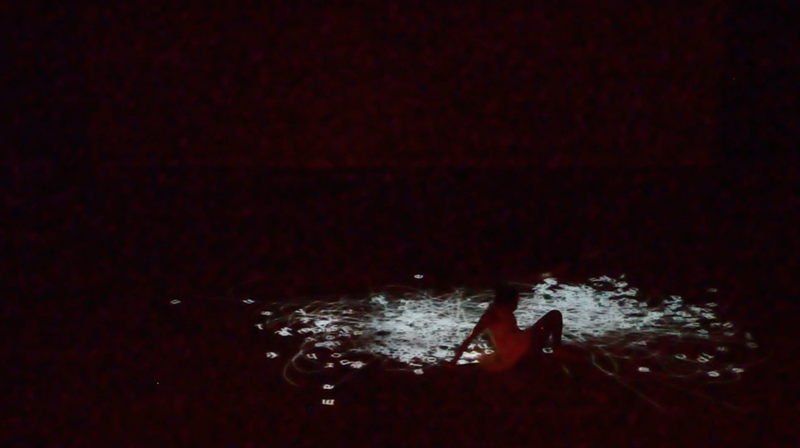 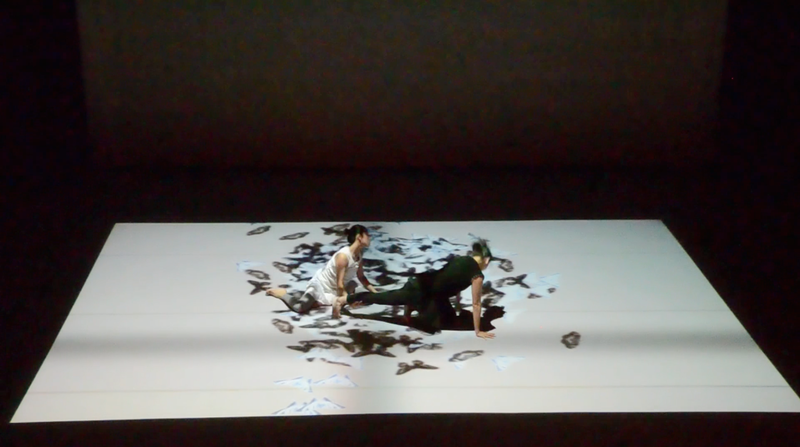 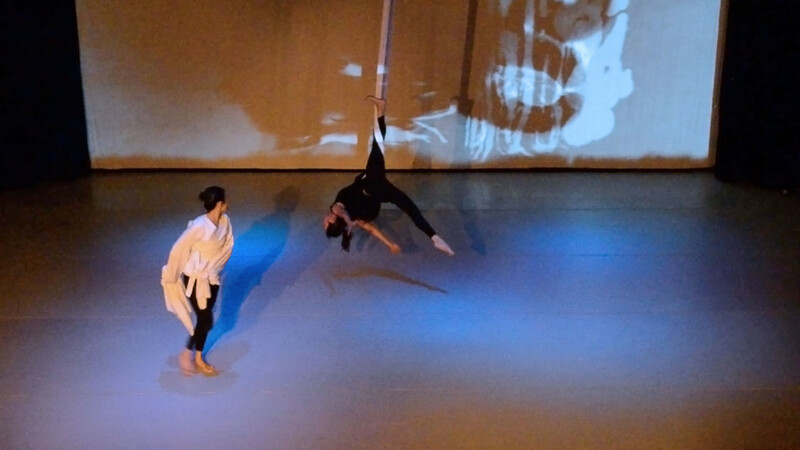 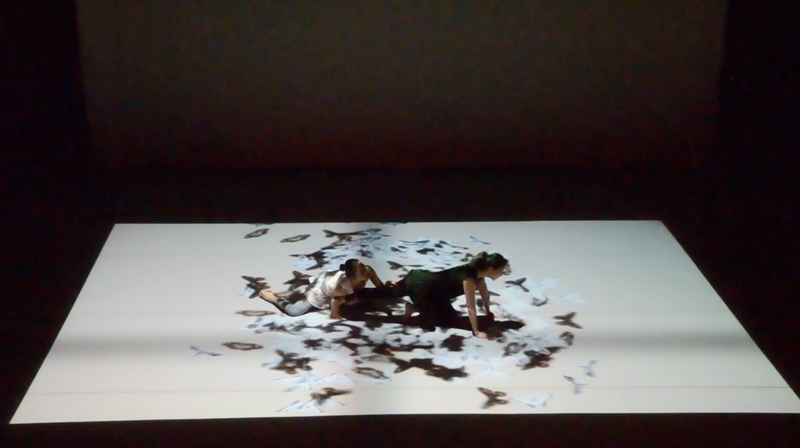 The final aerial dance section features a video of Nichole Hong Chang’s calligraphy recorded and edited by Bryan Leister.